It has taken me forever to sit down and write this review (for whatever reason) but I remember this sandwich so well and I still think about it and can’t wait to get back and have it again. 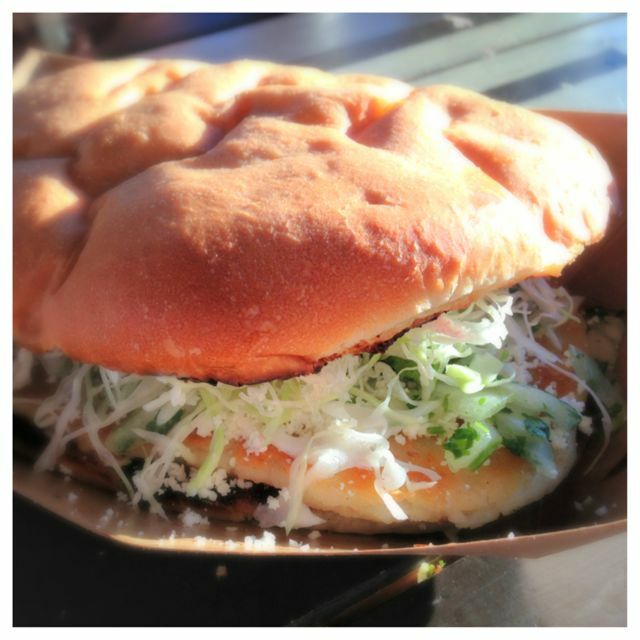 We ordered the Toda Madre, which is potato, masa, grilled jalapeno pancake. Roasted tamarind-harbanero tomato. There wasn’t any strong flavors standing out in this sandwich, instead everything went together really well. 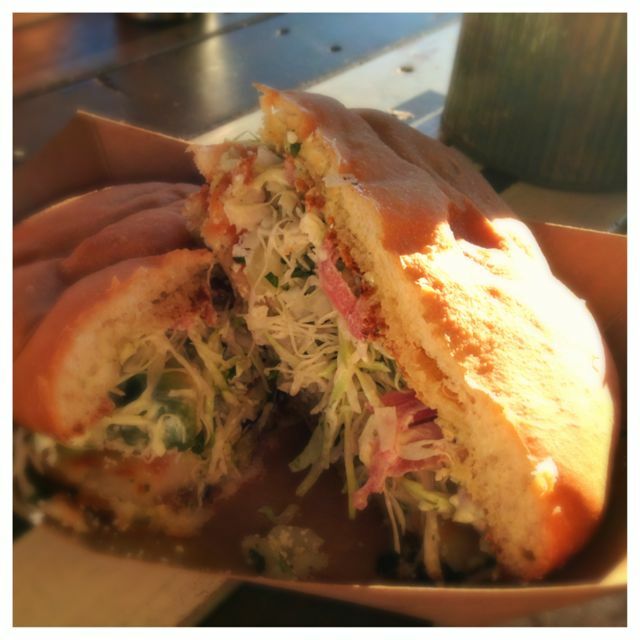 The torta bread was super soft. I could not stop eating this sandwich. We had bought this and something else to share, but I instead ate most of this. 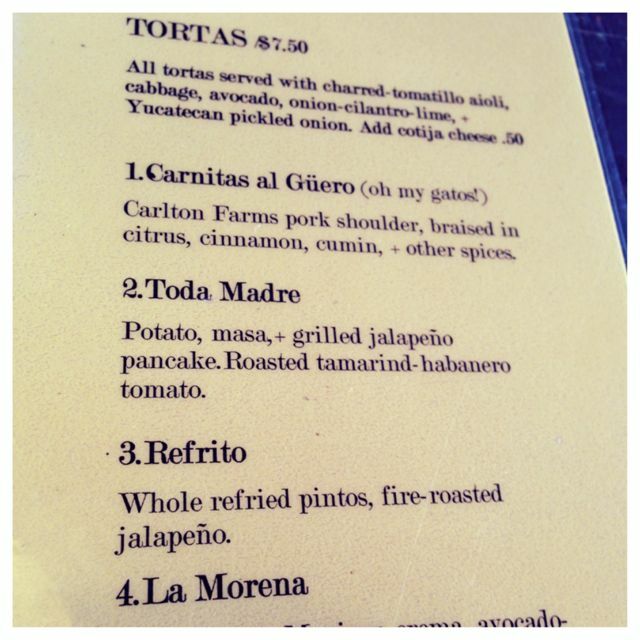 We really want to go back and try the Carnitas. I hear the tacos are good too, so lots of great choices for our next stop. I also love that Captured by Porches in there and we can wash it all down with a beer. Atmosphere is very homey at this pod. All the carts face in and create quite a gathering space. There was lot of covered seating here too. Pricing is $2-$9. This $7.50 sandwich was large. They did have a few drinks there to choose from and Captured by Porches is right next door. Güero is locateed on 28th & Ankeny.